Printer: Hazell, Watson and Viney, Ltd.
Pagination: [i-vii], viii-xxxvii, [xxxviii], [1-2], 3-684. Dimensions of Document: 8 1/2 x 5 3/8 in. Fennell, An Annotated Bibliography, 11. This book culminates the series of collected editions, inaugurated in 1886, that were edited by WMR. 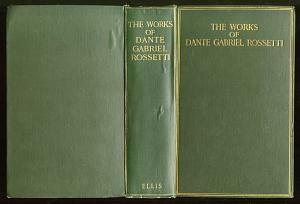 In this work WMR and his publisher collapsed all the work into a single volume.